A serious effort is underway working with victim investors to assemble a group effort to mount a global criminal investigation and organized recovery exercise. BSD OPTIONS was HIGHLY sophisticated FRAUDULENT Investment scheme; a typical lawsuit will not return your lost money. A North American based recovery effort is being organized by an international consortium of expert “Financial Crimes” asset recovery professionals. If you would like to be included please contact this forum ASAP!!! BSDOption claims to be a binary options trading brokerage based in Liverpool, England. Additionally, it claims to offer online binary options trading platform. When an investor opens a BSD Options and/or Grey Mountain account he/she will see modest gains in the first few months. These are shown to the investor through “Screen Shots”. The investor would then usually request a withdrawal, sometimes the withdrawal was authorized, mostly the investor was told, “there are open positions which you cannot see” therefore, the withdrawal was not authorized. Over time, the investment would grow on the screen; however, withdrawal requests were not authorized. BSD Options and/or Grey Mountain account executives used a varied array of excuses to delay or deny withdrawals. Eventually, the account would be wiped out and the monies gone. Like a “Ponzi Scheme” money was only paid out when new investors came in. In another independent article https://www.timesofisrael.com/lost-your-money-to-binary-options-heres-how-some-victims-got-it-back/ this information was confirmed. 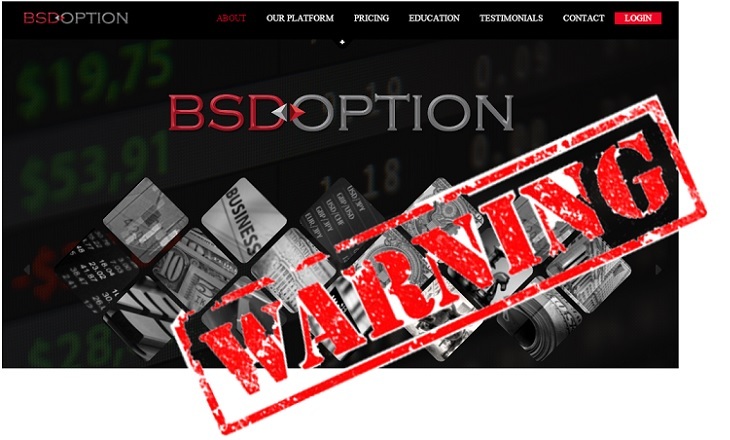 “BSD Options is a SCAM!!!! My friends and I just lost 100,000s of dollars. We invested with them, and they took our money and placed losing trades on our accounts and then blocked us from contacting them! When we asked for withdrawals they would always make excuses until we called them out and then they completely cut contact with us”. If your are not certain with whom you have dealt with, “Check your credit cards, if there is a charge from “fbx (bsd options)” or “Grey Mountain management” it’s from them”. If a client is making more money than the company, then an employee is told to rig the trading platform. Alternatively, an employee would be told not to allow withdrawals for clients. Some trades are real, but the majorities are not. Often, if the client is making money the company will email the employee or the platform provider telling them to rig the platform, eventually all the money is lost into the pockets of the company and it employees. Every binary option company has their own methods but this is generally how it works. The owners and account executives always use aliases to protect their identities. Most companies are Israeli based. Binary options companies are specialized and often law firms are not familiar with the business or how to pursue them.A lot of dialog on BSD Options and/or Grey Mountain, as it relates to this scam and their tactics is discussed at http://www.forexpeacearmy.com/forex-reviews/12757/www.bsdoption.com.Also the following article provides additional information on these companies https://www.timesofisrael.com/lost-your-money-to-binary-options-heres-how-some-victims-got-it-back/. JOIN the RECOVERY GROUP and lets bring these thieves to justice.